The nighttime safety walk, orchestrated by Student Affairs and the Clery Act Compliance Officer, is a great way to see the campus in a different light, so to speak. 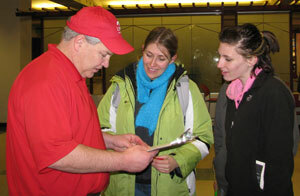 During the event, participants go through a list of possible safety issues, such as lighting, signage, or too much vegetation. All participants, armed with flashlights and clipboards, are invited to walk through campus in small groups to examine potential safety issues or provide input on safety initiatives for the future. 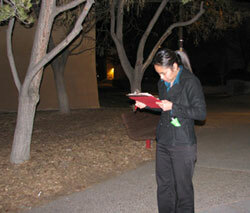 This is an excellent way to create safety awareness and support crime prevention at UNM. Contact the Dean of Students Office at 505-277-3979 or Rob Burford at rburford@unm.edu if you have any questions.